When alien organisms attack the planet and force unfortunate humans to flee, only one hero is able to repel the attack of the usurpers and return the Earth to earthlings. And the more sophisticated the test is, the more likely the developers at Reinkout Games will give him another, more sophisticated one. 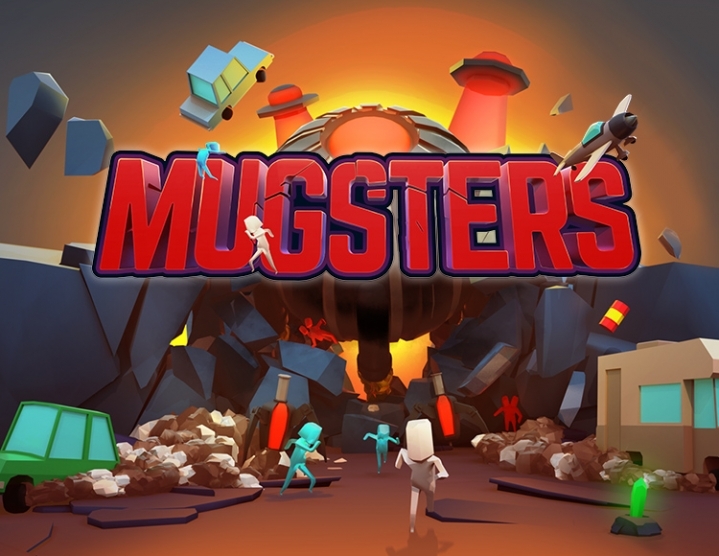 Mugsters - puzzle for brave and courageous heroes. Pay physics and mother gravity against your enemies and rescue innocent victims of the cataclysm from alien traps. The further, the more difficult, but for the sake of it you volunteered to be a savior - the real defenders of the galaxy are not afraid of difficulties. When aliens who wanted to enslave humanity attacked the planet, you were among those who dared to challenge them. Despite the fact that the invaders scattered people in different zones, establishing special control, you rushed to the attack, dodging lasers and traps, blocking the way. Turn on your brains and figure out how to defeat terrible extra-terrestrial enemies, using not so much brute force, no matter how limited human intelligence. Blast, tune, destroy and save all. No one shackles your imagination with any framework. Open captured world is waiting. Dynamic gameplay. Do not relax, because in the new world there are harsh orders, there are many threats at every corner. At your disposal endless possibilities and a rich arsenal - grab everything that comes handy and try to survive, if not chickened out. Bright surroundings. From blinding lasers to red barrels - deceptively simple and ridiculously tailored locations are drawn with attention to the smallest details that do not distract from the process. Branded physics can become a tool in the recruitment of the present inventors, and it will be almost impossible to break away from the passage of the next level. Online game. Breaking through checkpoints and enemy divisions is more fun with a friend who supports your even the craziest idea. Solve puzzles together, get away from the dangers and come up with multi-stage strategies, working as a team and increasing the chances of winning.